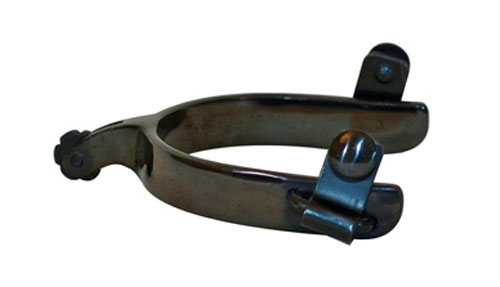 Mens Black Satin Light Roper Spurs, 3/4” band. 1” shank. 3/4” rosebud rowels w/screws.